In this book, the authors engage the dream of better, both in fields and endeavors where participants know they should practice and also in those where many do not yet recognize the transformative power of practice. And it’s not just whether you practice. 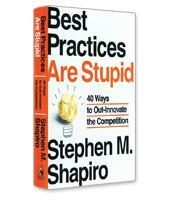 How you practice may be a true competitive advantage. Deliberately engineered and designed practice can revolutionize our most important endeavors. Michael Jordan once said, "You can practice shooting eight hours a day, but if your technique is wrong, then all you become is very good at shooting the wrong way." 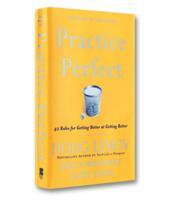 In other words, as Doug Lemov, Erica Woolway and Katie Yezzi write in their new book Practice Perfect, practice does not make perfect; practice makes permanent. Even if you know what you should be practicing, write the co-authors, the wrong practicing techniques can destroy the effectiveness of your efforts. The authors use an example of a teacher practicing nonverbal correction. As the authors explain, less effective teachers interrupt themselves to address a student who is acting up; this interruption is distracting for the teacher and the other students. The best teachers use nonverbal correction to deal with the problem student: Without interrupting the flow of the lesson, they will, for example, glance at the student and point two fingers at their own eyes, meaning the student needs to pay attention to the teacher. In the real-life example described by the authors, one teacher practicing nonverbal correction had other teachers role-play recalcitrant students. The other teachers were too disruptive in their role-playing and, despite knowing the signals, the teacher in the training session, Jen, was never really able to gain full control of the class. The lesson learned by the trainers: Practice sessions must encode success, not failure. This meant that instead of recreating a realistic classroom, the next training session had a more simplified activity, with just two "bad students" for Jen to deal with. In addition, Jen was told before the session which students would be acting up, what they would be doing and when, and what nonverbal corrections to use in response. Then Jen was given time, again before the session, to practice the gestures for those nonverbal corrections. And only after all this preliminary work was accomplished did Jen face the two "students" in a recreated classroom, with the two "students" playing the scenario exactly as planned. Additional issues were slowly added after the first skills had been practiced successfully. "Encoding success" — making sure that those in training are practicing success and not failure — is the first of 42 specific practicing techniques carefully explained in Practice Perfect. These techniques are grouped into six chapters, with the first chapter addressing some of the common but mistaken assumptions about practicing. 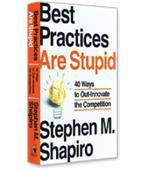 One false assumption, according to the authors, is that you should practice only what you don’t do well. The authors counter that your "bright spots" need equal attention. The second chapter covers design principles for running effective practices. For example, one important design principle, write the authors, is to "isolate the skill." The redesigned classroom session above carefully isolated specific nonverbal gestures so that Jen could practice (by herself and then in the session) effectively, before being faced with more complex situations. A third chapter focuses on techniques related to modeling. Cooking shows are more effective than recipes because they model how to make the dish in question. However, the authors note that it’s important to tell those who are watching the modeling what to look for. A novice salesperson shadowing a sales force veteran may misinterpret the silence in a negotiation meeting as an awkward moment — when in truth the sales veteran is expertly putting pressure on the client. Other chapters address the importance of feedback; why practice is a social activity that relies on a culture of openness, transparency and humility; and how to make what you practiced stick. The three co-authors of Practice Perfect are leaders of a groundbreaking teacher training program at Uncommon Schools, an organization that runs charter schools in the New York and Boston areas. Their work in this field — the program was the basis of Lemov’s previous book, Teach Like a Champion — revealed the art and science to practicing that is compellingly described in this new book. Practice Perfect is one of the most insightful and powerful books on training to be published in many years.